English and Tamil translations of the report submitted by the Presidential Commission of Inquiry to Investigate and Inquire into Serious Acts of Fraud, Corruption and Abuse of Power, State Resources and Privileges (PRECIFAC) was tabled in parliament yesterday. Both government and opposition members have asked in parliament why the debate on the PCoI and PRECIFAC reports were being delayed. The debates on these reports were to be taken up in Parliament on February 20 but postponed indefinitely because of the non-availability of the English and Tamil translations of the PRECIFAC report. 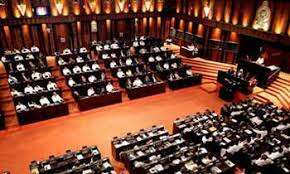 The reports were tabled in Parliament on January 23. PCoI report was tabled in English while the PRECIFAC report was tabled in Sinhala. However, according to Standing Orders, the reports must be in all three languages if they are to be taken up for debate. MR will shelve all of them. Case closed. Fat hopes. People can forget all about PRECIFAC now. It would be only the CB Bond report from now onward.